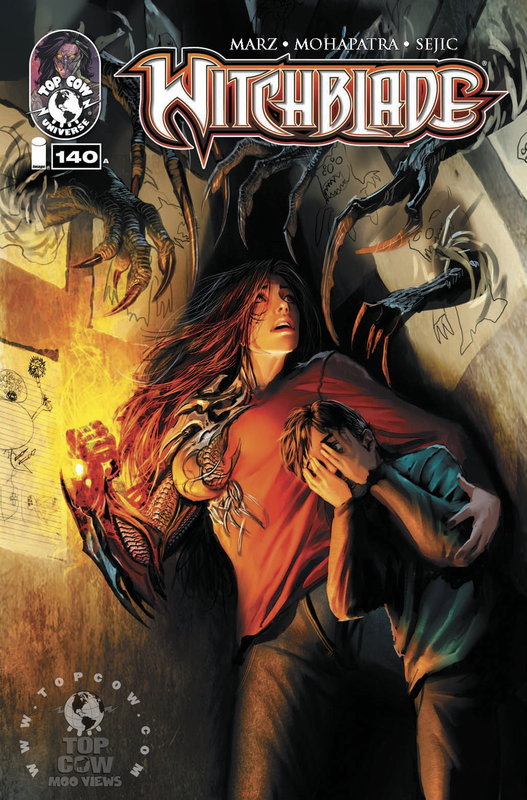 Reading Witchblade #140 I got a bit of deja vú. I absolutely enjoyed it and it’s a perfect hopping on point, but the issue reminded me a bit of an earlier issue where Sara Pezzini is forced to investigate another strange monster occurance. That’s absolutely not a bad thing though. Sara Pezzini has investigated countless bizarre crimes, but her latest case may be the most shocking yet! Pezzini and her detective partner have encountered monsters and demons before, but these latest supernatural terrors seem to be born from the imagination of an innocent child. Written by Ron Marz and Saurav Mohapatra with art by Stjepan Sejic the story reminded me a bit with an earlier story arc about a Golem in a Hasidic neighborhood. There’s a feeling of Law & Order in this. Similar stories, but just different enough they’re entertaining. The writing and art are solid enough, and that’s what I expect from Marz and Sejic. It’s familiar, fun, comforting and a solid read. If you’ve never read a Witchblade comic before, this is a perfect hopping on point, and I absolutely recommend doing just that.